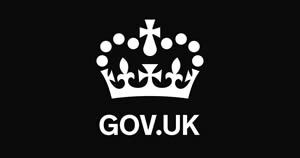 The UK government has published its revised Counter Terrorism Strategy for 2018. In a speech in central London, the Home Secretary has launched the government's new counter-terrorism strategy. After the attacks in the UK last year the Prime Minister commissioned a root and branch review of our counter-terrorism strategy. And that is what we are publishing today. The biggest threat is from Islamist terrorism – including Al Qa’ida, but particularly from Daesh." In our revised counter-terrorism strategy – known as CONTEST - I am outlining today how everyone can help.